Many people know about the multitude of benefits that are possible from taking Brazilian Jiu-Jitsu, Muay Thai, kickboxing and other martial arts training classes. They can physically increase your strength, agility, and coordination as well as mentally increase your concentration and sense of inner peace. What goes under the radar to many is how effective of a tool these martial arts programs can be for getting a toned body in time for to hit the beach summer. 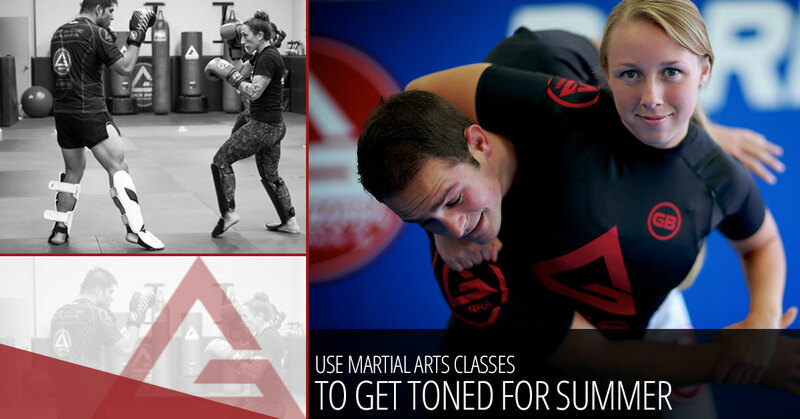 At Gracie Barra of Santa Barbara, we want to share with you just how effective joining a martial arts class can be for getting your summer beach bod back and better than ever. Skip out on the gym membership this month and give one of our variety of martial arts classes a try to see for yourself! The fact that Brazilian Jiu-Jitsu and other martial arts classes transform your body is undeniable. If you ask anyone who has participated in our program or one similar, they will more than likely tell you the results they have seen from weight loss to tighter and more toned muscles overall. When you workout at a gym, you exercise one area of muscle at a time. You probably spend one day on your chest and triceps, another one on your back and biceps, and then another just for your legs and perhaps abs. With martial arts, you get to exercise all of your body’s muscles simultaneously — even impacting those that aren’t reached in most standard workout routines. This allows for quicker visible results as your body becomes more toned and fit with each class. When you workout at the gym, it’s just you, your weights, and perhaps your headphones. It can be difficult to stay motivated to workout for as long as your body may require in order to initiate the muscle-toning process. You probably get on your phone in between reps, check your social media feeds, and lose track of time, and before you know it, it’s time to go. Why go to get fit for summer where you’re constantly watching the clock like you’re at work? When participating in a martial arts class, you are constantly engaged and involved — rigorously working out every muscle of your body’s core without even realizing it. You don’t even have to work to get results, they just happen naturally through the process. Compared to working out in a sweat-covered zoo of people at your local gym, working out in a state-of-the-art martial arts training facility is also a much more inviting environment. A quality workout also does more than just build muscle or shed fat. It also builds knowledge, discipline, confidence, and alleviates stress. These are all areas where martial arts classes excel above and beyond typical gym workout routines at providing more long-term, intangible benefits to accompany the physical ones. If you’re ready to get back to being toned and fit for an incredible summer on the beaches of Santa Barbara, we welcome you to come try one of our Brazilian Jiu-Jitsu, Muay Thai, or cardio kickboxing classes at Gracie Barra. View our martial arts class schedule and book a free intro lesson today!